*Roommate Matching (BxB Lease) Available for both The Cranwell and The Lenox Floorplans. Pricing starts at $549/person. Contact our office more more details. Your new apartment is designed to make you feel at home as soon as you move in. Whether it's our custom shaker-style white cabinetry*, our brand-new hardware & light fixture finishes*, our expansive walk-in closets, or screened-in outdoor patios, we've got what you're looking for at Berkshire 54. 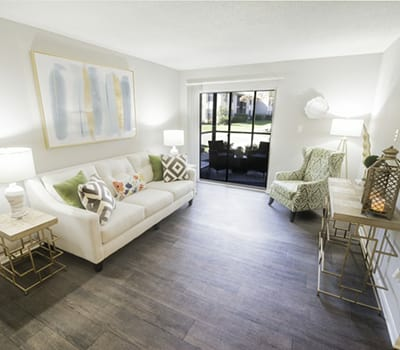 Our spacious, thoughtfully designed floor plans provide the best in class & comfort. No matter if you need a 1 Bedroom home, a 2 Bedroom home, or would like to discuss our roommate matching & pricing options, our friendly leasing team would be more than happy to assist. Find the right space for you at Berkshire 54. We offer personalized tours so you can view just the floor plans that are most attractive to you.